Tengami has been out on iOS devices for quite some time but has now finally made its debut on Wii U. I think it's great that the Wii U has the perfect setup for iOS games to make a pretty seamless transition thanks to the GamePad. I already love the GamePad for the unique gameplay potential it brings, so this is an extra bonus! 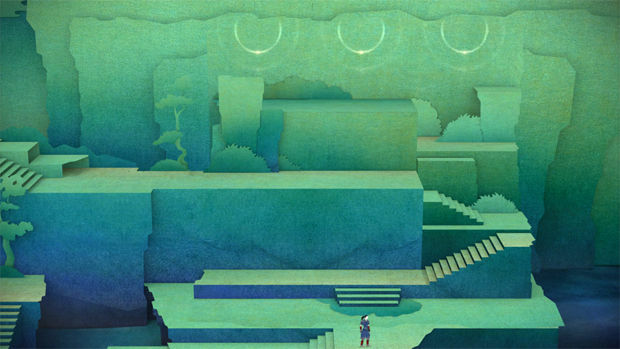 Tengami is a particular game for a particular type of enjoyment. Sometimes you might just need to relax a bit after murdering hundreds or solving awful murder mysteries and just...slide some paper to one of the most relaxing soundtracks you'll come across! Tengami is one of those games that perfectly blends together its gameplay and its aesthetic. In fact, it's the aesthetic that actually determines the gameplay. The entire game has a paper-thin look, from the main character to all of the environments. 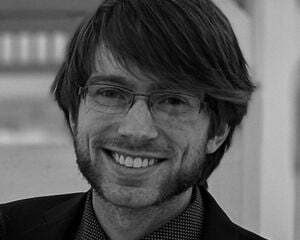 When the main character turns, he's paper thin and everything has a static yet lively sense to it. The gameplay also runs with this idea, as most of the player interaction involves moving or folding paper to create new landscapes an solve puzzles. All of the gameplay happens on the Wii U GamePad, meaning Tengami is best suited for off-TV play. Everything also displays on the TV, but since players have to look where they're tapping, it's impossible to watch the TV and play. It's great if others want to help solve the puzzles, but the puzzles don't really need help solving. Moving around is done by tapping where you want the main character to walk to. And I mean walk. The game has a deliberately slow pace, which isn't too much of an issue except when players want to roam around to explore and find hidden Miiverse stamps, or get stuck on a puzzle and wander aimlessly. Most of the time players will tap on their destination and enjoy the sights and sounds while their character moseys on over. However, it can be a bit of a pain when the destination is far away, since players can only tap to the edge of the screen. What ends up happening is a constant tapping of the edge to continuously create new waypoints, which is tedious. Other than moving around, the main mechanic is solving a variety of puzzles. These puzzles often revolve around interacting with pieces of the environment to create a new path or get a required item. 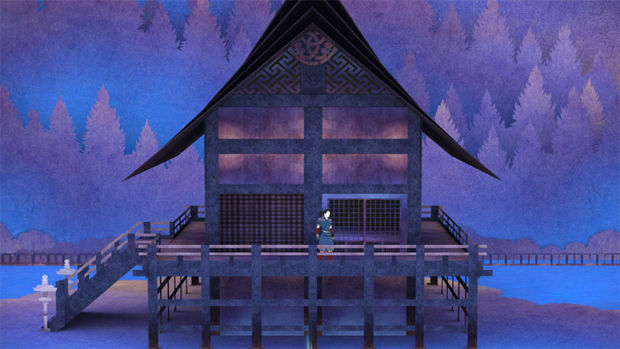 Other times the puzzles require the player to truly be observant of the surroundings in a way that is unique to Tengami. The game always shows the player where they can touch in order to push and pull pieces of the puzzle, but it is up to the player to figure out what to do with them. There's only one puzzle that really requires critical thinking, which is unfortunate since it's the one puzzle that left me satisfied. Hints are also available for those who get stuck. There's only one hint for each puzzle, and it pretty much tells players exactly what to do. My advice would be to use hints as a very last resort! The aesthetic is what really shines. The paper-thin look of everything gives it a crisp and vibrant feel, while the absolutely fantastic soundtrack calms and soothes the eardrums. Everything has a feudal Japanese theme to it, with plenty of cherry blossoms and temples. I even learned some kanji from playing!